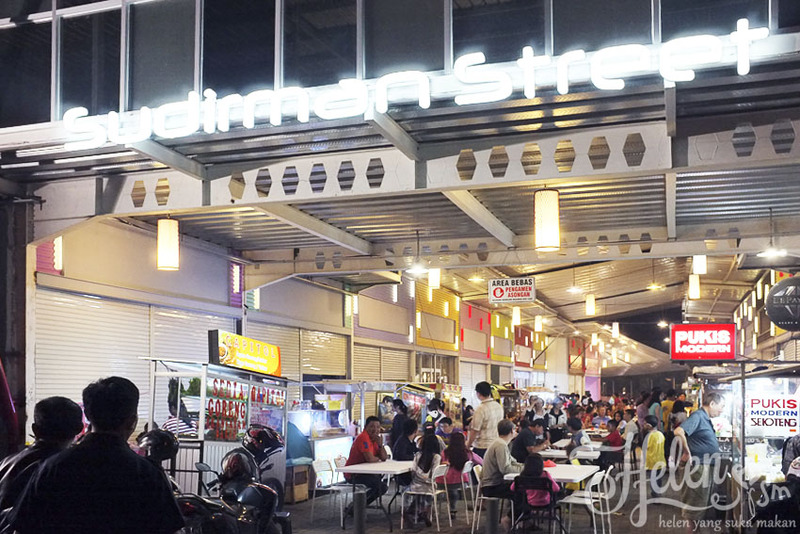 Sudirman Street Food Court is divided into 2 main sections, the section near Jalan Cibadak is filled with a permanent food stall, while the portion near Jalan Sudirman is a food wheel. Well, the permanent food stall section opens from noon to night (varied depending on each tenant), while the wheels of food only sell after 6 pm alone. 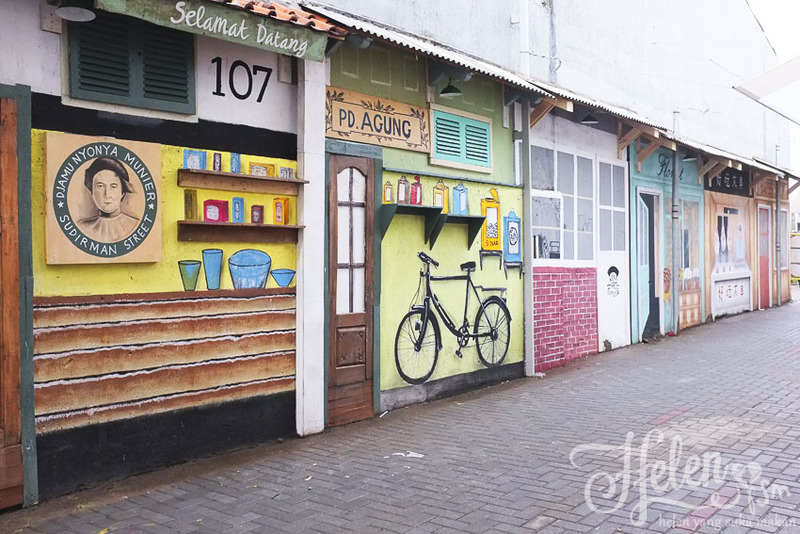 Once inside from Cibadak Door, we will be greeted by a cute mural along the left wall.There is also a mural with Chinese writing, make taste again in China Town, which although the actual selection of the letter is less precise, but still cool for the background photo. The choice of food in Sudirman Street is more or less like the culinary at night along Cibadak Street, with the dominance of Porky food. There are also Lomie Bangka proved to have a savory taste with fragrant ebi that taste really, delicious thick and not too sweet sauce. Price per portion IDR 20k. You can also find Mie Medan (Medan Noodle), IDR 23k per portion. Uncle Joe's Pork Roast with Rice IDR 35k, in the form of rice with savory salted roasted pork served with sambal matah. While the bottom menu is Vietnamese Banh Mi Sandwich IDR 30k, with a wide selection of contemporary breads like: Green Tea, Red Velvet, Charcoal and Oregano Parmesan. 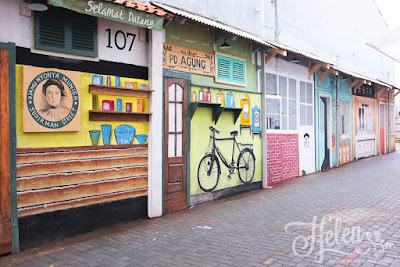 Sudirman Street Food Market stretches from Jendral Sudirman Street 107 until it penetrates to Jalan Cibadak (right on the skewer with Jalan Pajagalan). The location is very strategic, located right in the center of town, where all kinds of good food gathered. For those who bring vehicles can enter from Jalan Cibadak, because there is a fairly large parking area right next to the Food Court, or can also park along Jendral Sudirman Street.